Over the past 17 years I’ve been blessed with loyal clients and a strong support system, allowing my real estate business to grow by leaps and bounds. As my client-base expanded, I also saw the opportunity to develop a platform to better support them with a much higher level of service and partnership. 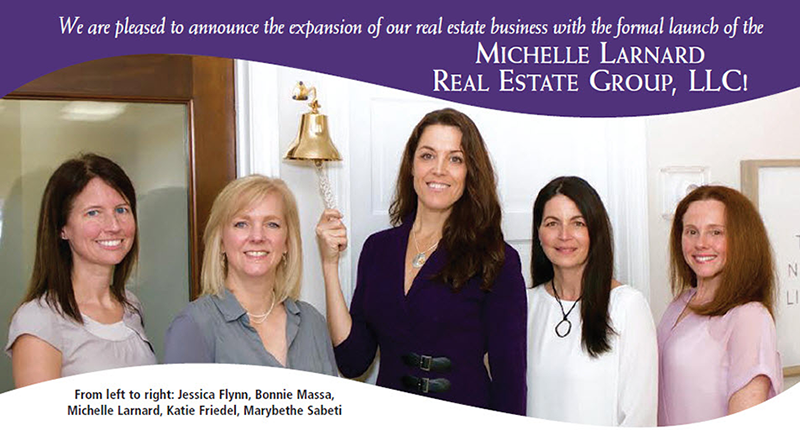 With this singular focus, I launched the Michelle Larnard Real Estate Group! Servicing the South Shore from our new Cohasset headquarters, we are committed to building a high-performing team of talented Realtors, marketing experts, and real estate coordinators to enable our customers’ real estate dreams. We are the stewards of what is in many cases our customers' most significant asset: their home. We treat that responsibility sacredly, align our interests deeply with our customers, and live it out every single day in our actions. We are real-estate sales & marketing professionals, not part-time hobbyists. We strive to become real experts of the local markets we serve. We strive to anticipate need, smooth out the rough edges of the real-estate process, and go above and beyond to create fantastic outcomes for our customers.